The first IWD to be officially recognised happened in 1911, the centenary was celebrated in 2011. The original aim of the day – to achieve full gender equality for the world's women – has still not been realised. On IWD, women across the world come together to force the world to recognise these inequalities – whilst celebrating the achievements of women who have overcome these barriers. IWD is now a recognized holiday in 27 countries, among them Armenia, Azerbaijan, Belarus, Bulgaria, Kazakhstan, Kyrgyzstan, Macedonia, Moldova, Mongolia, Russia, Tajikstan, Ukraine, Uzbekistan, and Vietnam. Google's homepage continues to honour IWD each year on March 8, with a themed doodle. In 1975 International Women's Day was celebrated for the first time by the United Nations. Then in December 1977, the General Assembly adopted a resolution proclaiming a United Nations Day for Women’s Rights and International Peace to be observed on any day of the year by Member States, in accordance with their historical and national traditions. August 9, 2016 commemorates the 60th anniversary of the great women's march of 1956, when women marched to the Union Buildings in Pretoria to protest against the carrying of pass books. SARL YL Sprint - 9 August, 2016. This is a fun activity to celebrate National Women’s Day and to encourage YL's to meet and greet 'on-air'. Hours: 11:00 to 12:00 CAT (local) 09:00 to 10:00 UTC. Mode/Band: phone sprint on the 40-metre band (7 063-7 100; 7 130 - 7 200 kHz). The exchange is a RS report and YL or OM. our European sisters extend radio-friendships across borders and the Australian ladies finish the month. Contesting is an excellent way for new amateur radio operators or those returning to the hobby, to gain some operating experiencing without the fear of finding something to talk about. In a contest, contact between stations are very structured with exchange of callsign, signal reports and usually a serial number. Give away contest-points to those calling CQ by responding to them. Make new friends, we're in this together. 88 see you down the log. After the success of LX9YL (German, Swiss, French YL's) August 2015, in Eisenborn, Luxembourg, Dora HB9EPE proposed to organise HB88YL- 2016 in Hedingen, Switzerland. YLs from Switzerland, France and Germany will be active between August 19-21st as HB88YL. They plan to have 3 or 4 stations on the air, all bands, using CW, SSB and the Digital modes. Concurso Aniversario 2016, en donde ya cumplimos 2 años el último fin de semana de Agosto. Desde el sábado 27 de agosto de 2016, a las 00:00 Hrs, UTC ( 21 Hrs. CE viernes 26 de agosto). Hasta el domingo 28 de agosto 2016, a las 23:59 Hrs. UTC ( 21 Hrs. CE domingo 28 de agosto). All licensed operators throughout the world are invited to participate. OPERATION: Single operator only (1 operator per call sign). As a sentimental keepsake, many ladies like to work on a patchwork quilt, but for me I prefer working towards a patchwork of QSL cards. My goal to complete my QSL card quilt is to work one station from each US state and request the station's QSL card. In 1964 a British short wave listener (SWL), Geoff Watts started an activity programme based on contacting island groups around the world. Geoff managed the “Islands on the Air” (IOTA) lists and records until 1985 when he handed over to the RSGB (Radio Society of Great Britain). From 2016 a new entity — the IOTA Foundation — will assume management of the RSGB's Islands on the Air Program. They are developing a new online credit system, to be completed in 2017. The IOTA Program is an Amateur Radio HF/VHF band activity, promoting radio contacts with stations located on islands around the world to encourage greater use of the amateur bands. Since 1964, over more than 50 years, the program has grown to 2500 active island chasers and approximately 15,000 casual participants, one of the most popular award programs in amateur radio. Many of the islands counting for IOTA also qualify as islands for the DXCC program . An annual contest, whose aim is to promote contacts between stations in IOTA island groups and the rest of the world, and to encourage expeditions to IOTA islands; always takes place over the last weekend of July on 3.5, 7, 14, 21 and 28MHz bands, using CW and SSB modes. Permission has been secured from all the required authorities. Commissioned in 1865, this historically important lighthouse is a well-known landmark on an island that has become world-renowned for its most famous “resident”, Nelson Mandela. Situated in the middle of the notorious Table Bay at the Cape of Storms, the lighthouse is still very active, with a focal plane of 47 m and an 18-m round white brick tower with a red lantern and gallery. Stone for the tower was quarried locally. Converted to electricity in 1938, the white light flashes around Table Bay, and a red light is pointed to the south south-east to warn ships leaving Cape Town away from the island. It is the only South African lighthouse to utilise a flashing light instead of a revolving light. The light is visible for 24 nautical miles. The lighthouse is manned but not open to the public; the island is part of the Robben Island Museum and a World Heritage Site. Batolomeu Dias, the Portuguese explorer, 'discovered' the island in 1488 when he anchored his ship in Table Bay. Before 1652, most visiting ships to Table Bay preferred to land on Robben Island to replenish their supplies of fresh water and meat instead of dealing with the indigenous residents on the mainland. In about 1671 the Dutch began to transfer convicted criminals to the island; later political prisoners and other "undesirables" were banished and transferred to the Cape from Dutch colonies in the East Indies. In 1843 a plan was put forward to use the island for lepers, paupers, the mentally unfit and the chronically ill. The penal colony was removed to the mainland. As a place of quarantine and detention it was only closed down in 1931. Used as a military outpost during WW II, in 1961 it started being used as a prison again. 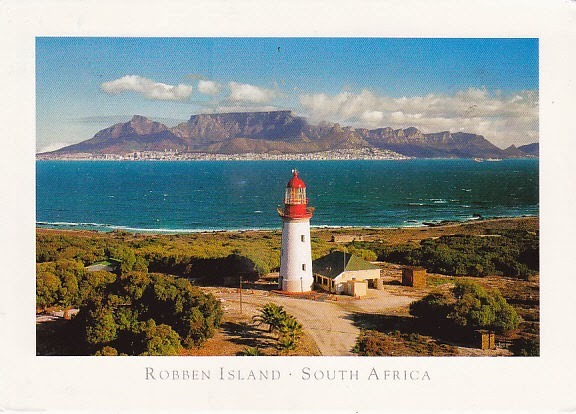 The main centre of Robben Island is located in a small village and most things – from food to building materials - have to be ferried from Cape Town Harbour, about 12 kilometres away. Robben Island generates it's own electricity and obtains its water from nine boreholes. Its name "robben" is derived from the Dutch, meaning a seals. In 1991 Robben Island was included in the SA natural heritage program and the northern parts of the island was declared a bird sanctuary. It is an important breeding locality for sea birds and is home to 8 500 breeding pairs of African Penguins. The oldest and original International Amateur Radio Lighthouse Weekend event, the next event is 20 and 21 August 2016. You will find all the information at www.illw.net. The event is NOT a contest. There are no prizes, certificates or other enticements to participate and therefore, participation is free. Each station's operators decide how they will operate their station regards modes and bands. Participants are not committed to being on the air during the entire period - only as much as they can. There are no restrictions on aerials or power. 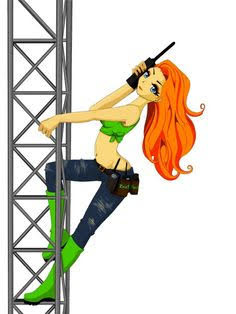 We wish operators to enjoy themselves and have fun whilst making contact with as many amateur radio stations as possible. We request that stations take time to work other lighthouses or lightships as well as the slow operator, the newly licensed or QRP stations. World War II; held on the weekend closest to the 15th August.